The far northern part of Denmark was occupied by all three parts of the Herman Wehrmacht. 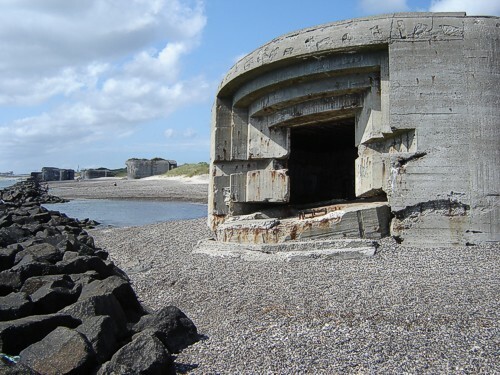 The "point" had an infantry strongpoint, the southern entrance of the Skagerrak was covered by a naval Sperrbatterie. All the way up north the airforce built Stp "Schackal". All pictures by Henk Adriaanse.